Parenting a child on the autism spectrum can be very rewarding, however, it also comes with unique challenges. Some of the unique differences that parenting a child on the spectrum can bring are feelings of isolation due to anti-social behaviors that are often extreme and aggressive; the need for constant routine and daily repetitive tasks; communication challenges and the constant fight to advocate for our children within the education, legal and medical systems. Our lives are often guided by our child’s needs and the truth is, as special parents, we need to have extra stamina and energy to keep up with these ongoing demands. In 2012, researchers from the University of Pennsylvania analyzed the impact that parenting a child on the autism spectrum can have on mothers’ stress levels. The results were shocking: hormone levels were consistent with chronic stress. The researchers compared the blood work to that of soldiers on the front line of combat. The largest concern with these finding is that at least 70% of all illnesses have been linked to stress and as special parents we don’t have time to be sick. Maintaining our own health and well-being are paramount so we are fully available to deal with the extra demands that our daily life puts upon us. So what can we do to take control of this and counterbalance negative stress in our lives? We need to develop a stress reduction plan that works for us; one that is practical, doable and fun! When I was just 24, I burned out from executive stress. What seemed like a total disaster at the time has gone on to be the greatest gift I ever received. Now, as the mother of two boys, each with an Individual Education Plan (IEP), one whom is on the autism spectrum, I understand that this early ‘health hiccup’ was building my resolve. It allowed me to develop a tool-kit of strategies that I could use, not only for myself, but also share with others who find themselves with a special needs child to support. Stress Symptom Check List, do you recognize yourself? We all hold beliefs of what we “should” be doing or what our life ‘should’ look like. If we actually examine the belief behind the ‘should’ it is usually outdated. To begin to shift this for yourself, start to take note of the ‘shoulds’ you use on a daily basis. Are they serving you and your family? Or do they add to your stress? Awareness is key to making positive changes that increase your well-being. Our lives are filled with extra responsibility and increased routine. Neuroscience shows that our brains need change and stimulation to support our well-being. Engaging in activities that you enjoy or are challenging, releases positive endorphins into your body. If you notice yourself saying ‘I’ll have my usual’ everyday – change it up! Chronic stress affects your health, yet it doesn’t happen overnight. It is brought about by the accumulation of many stressful incidents that never allow the body to rebalance itself back to a relaxation response. Practicing short relaxation exercises throughout your day will reduce this build up. It’s not rocket science but it is science as recent research finally proved the link between stress and illness. Try taking five deep slow breaths every hour to begin a simple yet effective practice. We can become isolated if our children exhibit anti-social behavior. Add that to the fact that when we are under extra stress our tendency is to retreat and become hermit-like. Although we often need this time to nurture ourselves be mindful of balance. Connection, hugs and friendship are essential. Create community that supports you even if it isn’t close to home. Attend workshops with like-minded people; find support groups where other parents gather, invite people over for a coffee morning. Chose to stay connected! Awareness is key to reducing stress and increasing well-being. As the Dalai Lama says, it is important to be “Wisely Selfish.” Make space for yourself, breathe deeply, take time to relax and be gentle on yourself. Siobhán Wilcox is a stress management expert, best-selling author and speaker. Originally from Ireland she now lives in Encinitas, CA. She is passionate about supporting fellow parents of special needs children. Her transformational book ‘Thrive Now Blueprint’ is available on Amazon and Kindle. To date she has supported the Special Olympics in Europe, Kids Included Together and other non-profits and special needs groups around the world. Visit her site www.SiobhanWilcox.com to download free gifts and discover more about her upcoming ‘Special Moms Tribe’ Spa Events and Mentoring Programs that she is co-hosting with fellow author and autism specialist Chantal Sicile-Kira. Thank you very much for this vivid description of the stress levels of parenting a child with autism or other special needs. It is absolutely true. The stress levels are indeed health-threatening. As the parent of a nonverbal boy with severe autism, I experienced these stress levels first hand, as did many parents I talked to. What helped me the most was taking action to increase my son’s functional skills. Although a sweet child, my son had many dysfunctional, disruptive behaviors and few functional skills. With some knowledge of behavioral principles, I was able to turn this around. I learned how to teach him to: walk safely outside with the family (no more bolting), stay quiet or vocalize appropriately in the car (no more shrieking and screaming), and finally, I learned how to de-escalate tantrums in a gentle, effective way. The secret ingredient? The effective use of positive reinforcement. Families who have the good fortune to get ABA (Applied Behavior Analysis) services quickly learn about the pivotal role of positive reinforcement. With positive reinforcement you can increase productive behaviors, with the result that disruptive behaviors decrease. It helps to have the right tool to deliver positive reinforcement effectively, and I found the perfect tool in a method known as Teaching with Acoustical Guidance (TAGteach). With TAGteach principles I helped my son learn many functional skills, with the result that we could go out as a family and have a nice time in the community. Life at home also became much calmer. Even learning just one functional skill, Safe Walking, made a huge improvement in my son’s quality of life. I was able to take him out to all kinds of places, including the grocery store, which he really enjoyed. Another great thing has been that we are able to go hiking on a regular basis. He loves being out in the woods and benefits from the fresh air and exercise. He is happier and healthier, and since we are out in nature, the whole family benefits from that calming environment. Our kids have many challenges. They are also eager to learn and happy to please. We just need to know HOW to tap into that. I commend myself for having subscribed to the Autism Parenting Magazine. 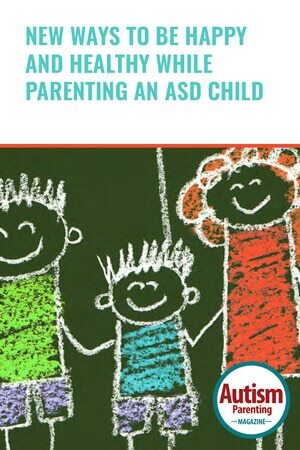 I am a health professional who has helped many parents with children having developmental disorders including ASD and have shared this magazine with them. I ma happy that they are finding it useful to them first, and to the management of their children. Every little bit of advice helps. It’s a struggle everyday, when my son gets angry over so many little things, I get stumped on how to redirect him. He yells at me and his step dad, it’s very difficult. I feel I have no control, it seems as if he doesn’t learn when I correct him of things. It’s hard to stay strong when it seems as if nothing works.